Atlantic Monthly Press, 9780802121400, 230pp. "Everything I know about life, I learned from the daily practice of sitting down to write." Through a blend of deeply personal stories about what formed her as a writer, tales from other authors, and a searching look at her own creative process, Shapiro offers her gift to writers everywhere: an elegant guide of hard-won wisdom and advice for staying the course. "The writer's life requires courage, patience, empathy, openness. It requires the ability to be alone with oneself. Gentle with oneself. To be disciplined, and at the same time, take risks." Writers--and anyone with an artistic temperament--will find inspiration and comfort in these pages. 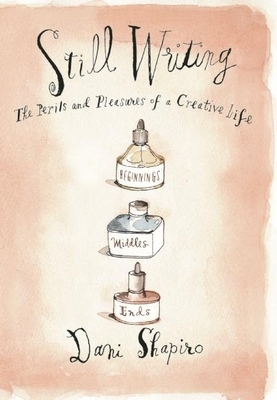 Offering lessons learned over twenty years of teaching and writing, Shapiro brings her own revealing insights to weave an indispensable almanac for modern writers. Like Anne Lamott's Bird by Bird, Virginia Woolf's A Writer's Diary, and Stephen King's On Writing, Dani Shapiro's Still Writing is a lodestar for aspiring scribes and an eloquent memoir of the writing life. Dani Shapiro is the bestselling author of the memoirs Devotion and Slow Motion, and five novels including Black & White and Family History. Her work has appeared in The New Yorker, Granta, Tin House, One Story, Elle, Vogue, The New York Times Book Review, The Los Angeles Times, and has been widely anthologized. She has taught in the writing programs at Columbia, NYU, The New School and Wesleyan University, and she is co-founder of the Sirenland Writers Conference in Positano, Italy. She is a contributing editor at Travel + Leisure.